Everyone loves a warm serving of delicious crispy French fries. It’s actually one of my guilty pleasures and the only thing I crave when I am on a diet to shed those extra pounds. But these deep-fried carbs are so irresistible and versatile that they are perfect to eat anytime, as a snack or an appetizer, or even as a side with a nice juicy piece of steak. Almost everyone agrees that the perfect French fries are crispy and golden on the outside and soft and mushy on the inside. This perfect texture contrast combined with your favorite dipping sauce can cheer anyone up. 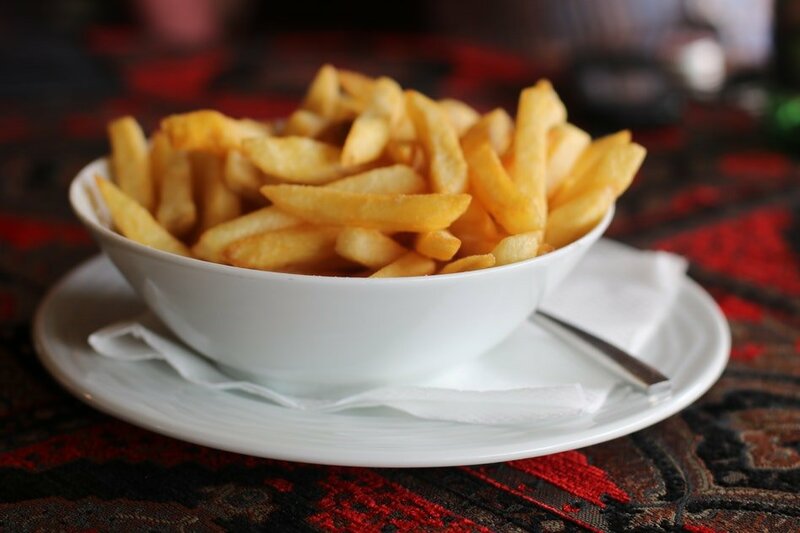 But when you can’t get to your favorite fast food joint to place an order for these beauties, it’s worthwhile knowing how to achieve the perfect restaurant quality French fries at home. The quickest and most convenient way to get around to making a batch of French fries for yourself or your kids is to buy store packaged frozen French fries. When it’s time to whip up a batch, just take the bag out and get to work. I understand that not everyone has a deep fryer lying around in the kitchen so here’s a guide on how to fry frozen French fries in a pan. 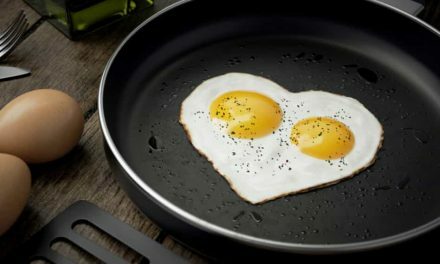 Make sure that the pan you are using is deep enough to hold at least an inch of oil. There needs to be enough oil to completely coat the fries, to get that nice deep-fried effect and prevent uneven cooking. The pan should also be one that has a quick and even heat distribution so that you get a perfect cook on your fries. 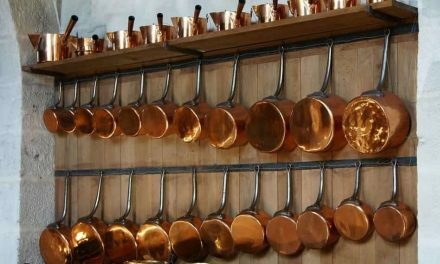 Try to avoid pans that are not used for cooking at high temperatures such as certain non-stick pans. Go with either a non-stick ceramic pan or a stainless-steel deep pan. Don’t use unclarified butter as it can release moisture that can cause your fries to get soggy. Use vegetable oil or sunflower oil or you can use clarified butter as well. Use a medium high flame throughout the cooking process. If you use a low temperature to cook your frozen French fries in a pan, they will defrost slowly and the water will not evaporate as quickly, causing your fries to become soggy. They will also soak up a lot more oil causing the end result to be greasy and unappetizing. Preheat the oil in the pan until it’s just about smoking. Don’t add your fries to the pan while the oil is cold otherwise, the fries will become soggy, as I explained earlier. Also, use frozen fries directly from the bag, don’t defrost them. If you do, when you add the fries to the hot oil, the defrosted moisture will cause the oil to splatter that can be dangerous. Once the oil is shimmering, you can add your frozen French fries in the pan. Make sure you don’t add too many fries in the pan since overcrowding the pan will get you less than perfect results on your cook. Let the fries crackle away in the oil on a consistent medium-high flame. Since most frozen French fries are par-cooked already, you won’t need to spend too long on them. Just watch out for that nice golden color and flip them to ensure a consistent look across the fries. Don’t cover the fries while cooking since that can let escaped moisture return to the pan as water and that can cause the oil to crackle. Don’t season them before or during the cooking process. If you season them before, the salt can draw out moisture which we don’t want and the fries might stick to each other in the pan. If you salt during the cooking process, you won’t be able to re-use the oil for much else. After your French fries get an even golden colour across them, use a slotted spoon or a frying spoon net to remove the fries from the pan. Hold the fries above the surface of the pan for a few seconds to shake off the excess oil and transfer to a tray lined with paper towels. The paper towels will absorb any leftover excess oil. Once patted dry, you can transfer the fries to a container with a lid. Add your favourite seasonings such as salt and pepper, or if you’re feeling fancy some garlic powder and cayenne powder, close the lid and shake. This will ensure an equal seasoning throughout. You can strain the oil and save it for later use. You can reuse the same oil for frying another batch of fries or for some other purpose as well, since it hasn’t been seasoned and won’t retain much flavor from the frozen fries. And that is how you fry frozen French fries in a pan! Serve with ketchup or your favourite dip sauce. And let me know of any helpful tips that I might have missed out on in the comments! 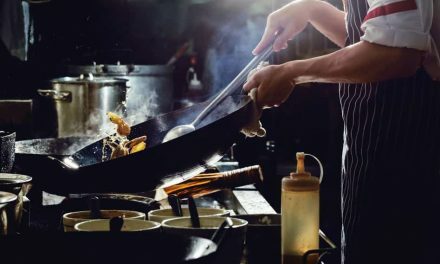 NextWhat cookware do chefs use?